(Orando Valle) Maraca's USA Tour officially begins June, 14, 2011 at the Napa Valley Opera House (8pm) in Napa, California. Click here for his full 2011 USA Tour Schedule courtesy of TIMBA's Michelle White. 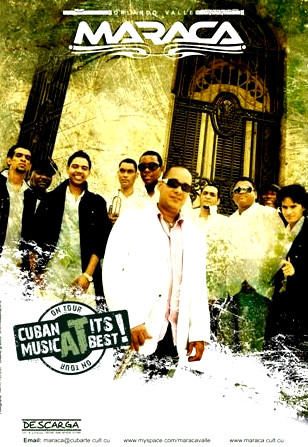 Straight from Cuba, Maraca's ensemble has been called “the most influential Afro-Cuban band of the emerging century” (Chicago Tribune) and “one of the hottest names in jazz” (LA Times). Maraca will have the Opera House moving to the authentic rhythms of salsa, mambo and cha cha cha, as well as creative Afro-Cuban jazz. The band has been extended to 13 musicians, all coming from Cuba, with great addition as Jose-Miguel melendez (ex-Irakere), on vocals and solo percussion, and Alfred Thompson (ex-Irakere, Omara Portuondo and Ibrahim Ferrer) on tenor saxophone. The band will be playing a mix of their afro cuban jazz repertoire, danceable songs from their hits and songs from their new danceable CD which is being recorded in Havana now. La Época is a documentary about the music and dancing from the pre-Salsa period in the U.S. when the mambo, son, guaracha etc. were still distinct in the minds of the dancers as well as the musicians. 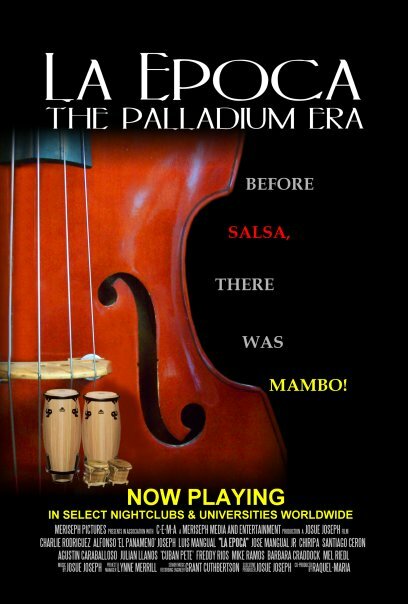 Since the Palladium ballroom in New York was an epicenter of the "Mambo Craze", there is a lot of coverage including historical footage of what happened there along with interviews with key musicians and dancers from the period. This is touring multiple cities and includes a Q and A with the producer, Josué Joseph, some social dancing and some filming of dancers for footage for an upcoming film segment. In the future, Sin Clave No Hay Na will have interviews, reviews of CD releases, major concert reviews and other items of interest. Stay tuned.